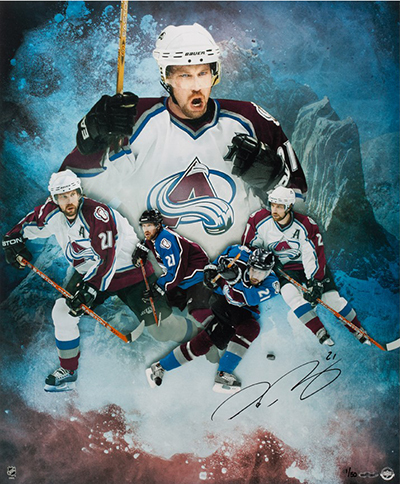 Former Colorado Avalanche teammates are now part of the Upper Deck Authenticated roster. Peter Forsberg, a native of Sweden, started his 19-year professional career with the Quebec Nordiques after being traded from the Philadelphia Flyers at the start of the 1991-92 season. Forsberg holds records for 8th all-time career points per game and 5th all-time career assists per game. 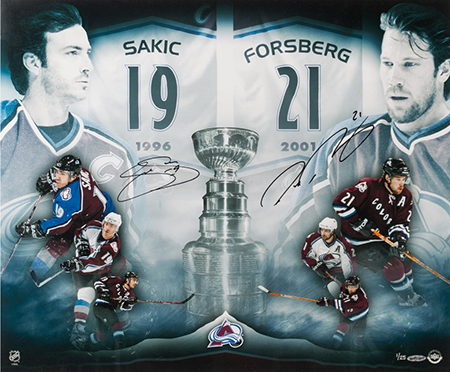 After 13 years of being part of the NHL®, Forsberg has been a part of two Stanley Cup Champion teams, been admitted into the Hockey Hall-of-Fame, and is the 4th highest all-time Swedish point scorer in the NHL®. Forsberg keeps his competitive spirit alive as assistant general manager for the Modo Hockey team in Sweden. 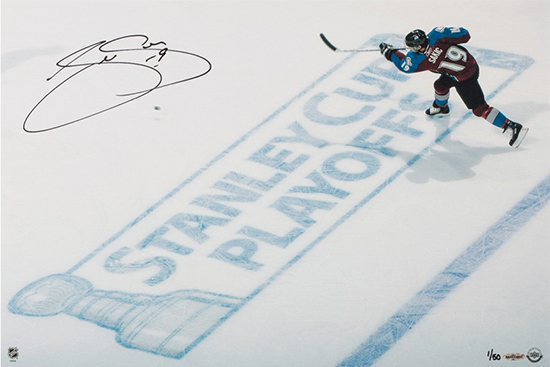 Joe Sakic left his mark on the hockey community with two Stanley Cup Championships and a memorable career with Team Canada. 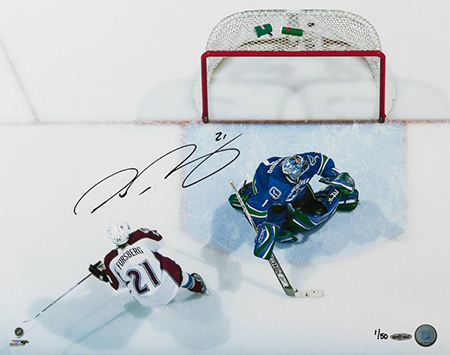 After his 21-year career in the NHL®, Sakic still holds six franchise records with the Nordiques and Avalanche. 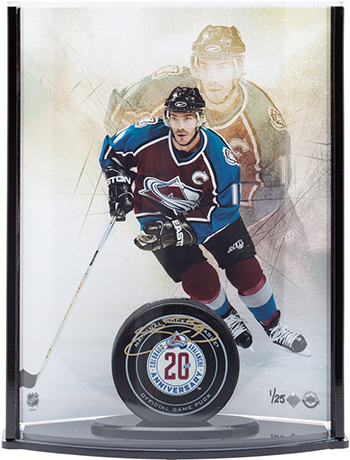 Sakic will always be thought of as one of the best leaders in the history of the NHL® after retiring in 2009. Sakic continues to work for Avalanche, but now as Executive Vice President of Hockey Operations.